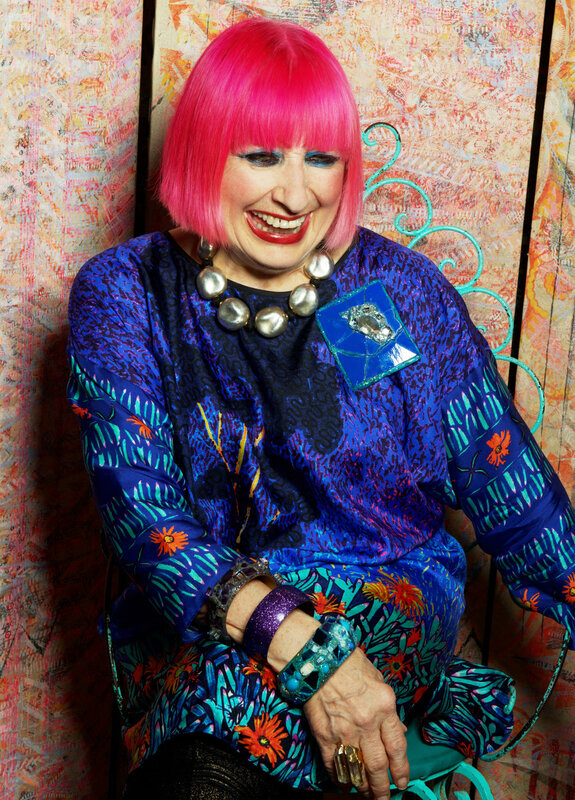 We’re thrilled to welcome Dame Zandra Rhodes DBE RDI who is joining the GFF charity as a lifetime patron! An iconic figure in the fashion industry, Rhodes is celebrating her brand’s 50th year in spring 2019. A pioneer of British punk fashion, she’s best known for her bold and bright prints and theatrical use of colour. She joins the charity as the seventh Lifetime Patron, alongside Christopher Bailey MBE, Victoria Beckham OBE, Vivienne Westwood DBE RDI and Nick Knight OBE, as well as our most recent patrons: Nadia Swarovski and Diane von Furstenberg. Rhodes opened her first store in 1967, after her fierce use of colour was considered too outlandish by then-conservative British manufacturers. In the 1970s, she was at the forefront of designers who put London on the map as the global hub for rebellious, modern creatives. She went on to dress Diana Princess of Wales, Elizabeth Taylor, and Queen’s front man Freddie Mercury and build an international following. We’re incredibly excited to welcome Zandra to an illustrious group of lifetime patrons. Stay tuned for more soon!